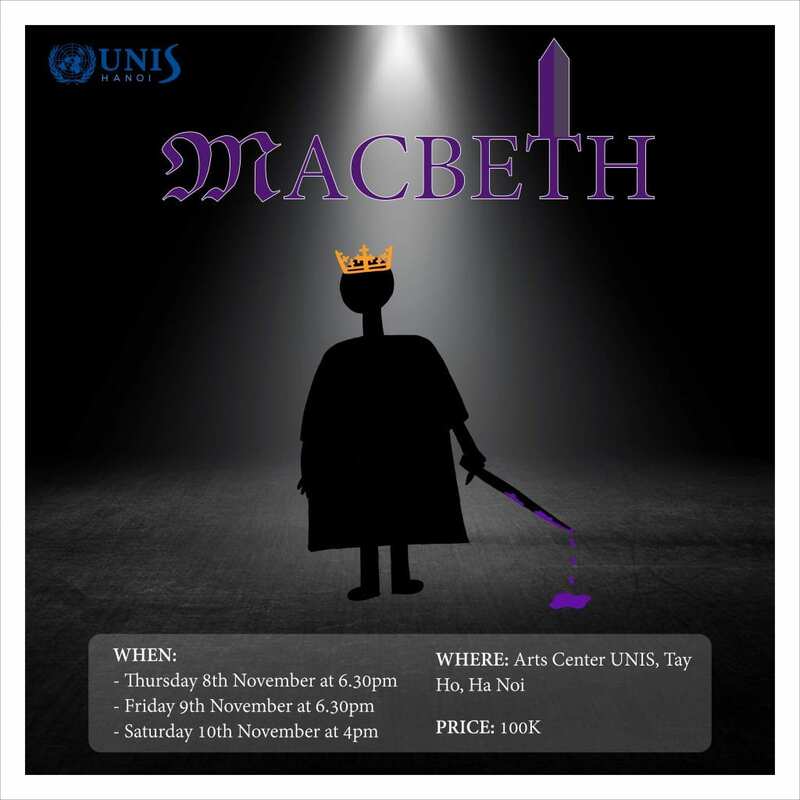 Macbeth at UNIS Hanoi – Get your ticket now! Get your ticket now to one of the most renown productions of the year! At the beginning of November, UNIS Hanoi will be presenting the great Shakespearean tragedy, Macbeth. Directed by Theatre teacher Kristen Twynam-Perkins this production has a cast and crew of over 50 students from grades 9 – 12. Some of whom will be taking the stage for the first time. This re-imagining of the tragedy takes us to a depression era carnival ‘freak show’ and explores the control that fate has over MacBeth’s decisions and ambition. MacBeth comes across a trio of witches on his way back to Dunsinane who tell him he will be King, from this point they control and guide all his decisions and actions until his tragic end. Performances are Thursday November 8 and Friday November 9 at 18.30 and Saturday November 10 at 16.00 in the UNIS Hanoi Centre for the Arts. Tickets are 100,000 and are on sale at the Arts Office or during lunch and after school in front of the old canteen. This production is one not to be missed and audiences will be immersed in the action from the minute they arrive with the ‘Freak Show’ spilling off the stage. There are some extra special seats that will be allocated by a ticket lottery the day before each performance. Watch this space for more information on these awesome seats. The students have all been working extremely hard over the last few months to bring this story of ambition, supernatural control, manipulation and murder to the UNIS Hanoi stage and we would love to see everyone come along to support their hard work and dedication. Something Wicked this way comes – are you brave enough to face it? This entry was posted in Theatre Production by communications. Bookmark the permalink.